Devastating news circulated about the violent death of actress Cherry Pie Picache’s mother Zenaida Sison, the current hunt for the perpetrator, and the motive for breaking in and stealing. And sadly, we have heard hundreds upon thousands of reported or unreported incidence of burglaries and forcible or non-forcible break-ins in the Philippines. Yes, our house is supposed to be the most secure place for us to dwell with and yet the easy target of intruders knowing that it is where most of our valuable household possessions are kept. Having awareness is something that we really have to take seriously, most especially since we are near the holiday season again, for which cases of burglaries are high. Before going to bed, check if all your windows are properly shut, doors are locked, and even take the initiative to make rounds in your backyard, taking note of all possible entries. You should always be one step ahead of possible intruders. Invest into locks and latches but make sure that it will not trap you in case of fire incidence. Night time is when thieves are roaming. You have to ensure that the front and back doors are well-lighted. Make an impression that you are anticipating their entry and you are not letting them take a chance of breaking-in the house. 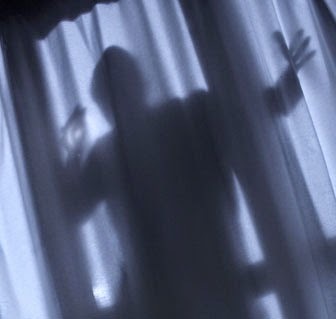 Take note though that there are lots of instances when burglars rather go in at daytime when the residents are at work so you might want as well to have the lights on even at daytime. CFL-induced bulbs are advisable because they are long-lasting and save energy. There were lots of reports for which burglaries were prevented, thanks to ever-dependable “bantays” (dogs) in the house. Check if valuable items can easily be seen outside by robbers. Invest into curtains and drapes to protect the house from their prying eyes. Don’t leave outdoor equipment in your porches or backyards. Make sure that you don’t leave boxes or packages which show that you have a brand new appliance or equipment. And please don’t keep a substantial amount of cash in the house. Secure them instead by depositing it in a bank. According to the Philippine National Police, crime prevention starts with you and your family. Protecting our homes should empower us to do our part through corresponding actions. Don’t take chances. Reduce the risk.